betternet is the easiest way to connect to the web without censor or restrictions. An unlimited FREE VPN with no ads, no registration, no b******t; we just protect your privacy and identity. That’s it! 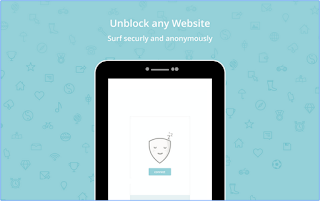 As it’s obvious from its name, it’s a completely unlimited free VPN service for Android that can be used to unblock all restricted websites and services such as Facebook, Twitter, Youtube, etc. In addition to bypassing banned websites, Unlimited Free VPN secures your device’s connections while you’re connected to public wi-fi hotspots, cellular data networks and other public locations. It works just like proxy but even more secure! We did our best to make Unlimited Free VPN as simple as possible; accordingly, we’ve implemented a very simple user interface which contains just a connect button. All you need to do is to press the connect button and you’re done!